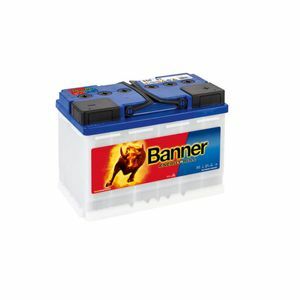 Excellent service and a good quality battery. Fast delivery of battery to us on holiday! Kai who I spoke to on the phone was hugely helpful. The only reason I’ve marked it as 4* is due to the fact other say it fits under the drivers seat of a T5 in reviews but unless I’ve done something wrong it certainly doesn’t fit under the drivers seat of my van! Battery arrived on the day I expected but unfortunately 2 of the cells were low in acid. I contacted customer services and battery was collected next day and replacement left. Overall pleased with battery and service. Just right. Compact so goes under seat a treat. Hopefully it will last well. Fast delivery and well packaged. The battery has been installed for 2 weeks and on holiday in France no problem. Happy with purchase. Fits perfectly under the T5 drivers seat, plenty of room to adjust the chair without getting anywhere close to the terminals. Battery came fully charged, excellent packaging and delivery time. Can't review with respect to long term performance but it has certainly done the job in getting my sound system back up and running! batteries came charged, well packed and delivered fast. Hard to review until I see how long it lasts. It was left standing on end by the delivery company though. Excellent service battery arrived next day. Now in use.